By Mary Gormandy White M.A. As the Internet & Technology editor for LoveToKnow, as well as a long-time technology gadget enthusiast, I was excited to have an opportunity to review several types of iPad keyboards. I was pleasantly surprised by the number of style options, as well as how easy these accessories are to use. 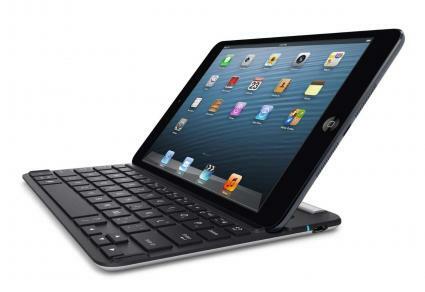 Whether you use your iPad for school, work or just for fun, one or more of these keyboards is sure to meet your needs. Cover-style keyboards are handy if you're looking for a keyboard that also functions as an automatic sleep/wake cover, typing stand and hands-free viewing stand. Additionally, each item discussed here connects via Bluetooth and is a full-function keyboard with Apple-specific functions. 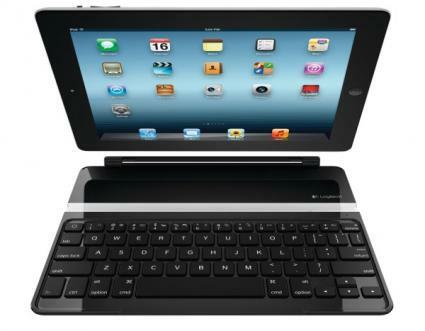 This ultra-lightweight, super-thin keyboard from Logitech® is ideal for iPad users looking for the smallest possible keyboard that can also function as a stand and case. Available in white, black, red and purple, this keyboard cover is a stylish choice whether you prefer classic accessories or ones that are fun and funky. The device features a built-in magnet hinge across the top, ensuring that it attaches snugly and securely to your tablet. This keyboard weighs under 12 ounces. It is the thinnest and lightest of all of the cases I tried, something that I find to be very appealing because I carry a full messenger bag most days and travel by air frequently. It comes with a USB to micro USB charging cable. There is an on/off switch on the top right side of the device, located just below the charging port. Based on average usage of two hours per session, the battery can hold a charge for up to 6 months. Of course, it's not intended to function as a case, so buyers should be aware that additional protection, like a shell or a pouch-style case, may be necessary. This device offers only one viewing angle. Suggested retail is just under $100. You can order directly from Logitech, where free shipping is provided. You may be able to find a better price at Amazon. This case is a little thicker and heavier than the Logitech Ultrathin keyboard, but it is still very compact and easily portable. This keyboard has two viewing stand slots, making it possible to position your iPad in two different angles for typing or viewing. The keys are TruType, which means they are shaped like traditional laptop keys. They are taller and narrower than the keys on most tablet keyboards. While this case does not have a magnetic hinge at the top, there is a raised magnetic lip at the top that functions as a snap to hold the iPad in the case when the cover is in place. If you're not accustomed to connecting a SmartCover to your device, you'll likely find this snap easier to use than a magnetic strip. There are four raised rubber pads on each corner of the bottom, a feature not found on the other keyboard covers I reviewed. A USB charging cable is included. Like with the Logitech unit, the on/off button is on the upper right side, just beneath the charging port. The battery can stay charged for up to 60 hours of active use and up to 2,000 hours on stand-by. There are no color choices with this cover. The keyboard is black and the outside of the cover is silver-tone. The combination is attractive, but will not appeal to those looking for creative styling. Some Amazon reviewers feel that the keys are too small. As with other keyboard covers, this gadget does not provide any covering or protection for the back of your iPad, so you'll want to use a shell or pouch-style case with it. Suggested retail is just under $80. You can purchase directly from Belkin, where free shipping is provided on all orders over $50. You can find it for a lower price on Amazon. Professionals and students who like the look of a portfolio case, but want the convenience of an easily accessible iPad keyboard, may prefer the traditional look of a keyboard paired with a folio-style case. As with the covers, both of these devices connect via Bluetooth and are fully functional Apple-specific keyboards. Neither has automatic on/off functionality - that feature is something that you have to give up when going to a folio style case. If you like the idea of a classically styled leather folio case, you'll be hard-pressed to find a more attractive or functional option than this great case from Hammerhead. The outside of the case has the look and feel of high quality, supple leather, because that's exactly what it's made from. The inside of the case is made with scratch-resistant, felt-like fabric. 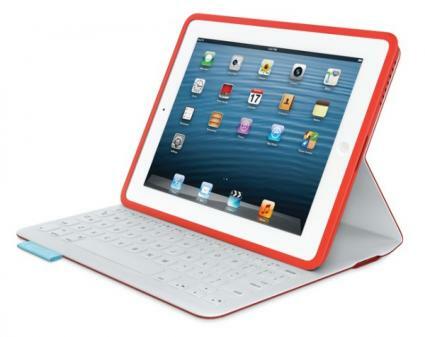 The iPad fits snugly inside an open frame-style pocket just inside the front of the folio that has a side tab closure. When the case is open, the front of the case becomes a viewing stand that is held snugly in place with Velcro. The folio can be used for landscape and portrait viewing. The keyboard is held in place along the back of the case with Velcro, so it can be used in place or removed easily. The keyboard has a 30-foot range. This case comes with a silicone tip stylus, held in place below the keyboard with an elastic band. The battery will hold a charge for up to eight hours of use. A USB cable is included. The keyboard will also work with iPhone and iPod Touch devices. 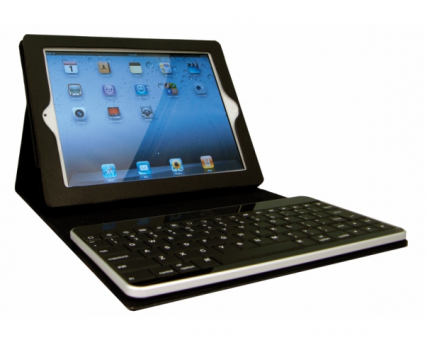 This keyboard folio comes in black and red. This folio is a full inch thick, so it will take up some room in your carrying bag. However, it does fits snugly between your hand and elbow for easy carrying. While this case adds a bit of bulk and weight to your iPad, it does provide protection for the front and back of the tablet. For regular use, you won't need an additional shell, case or cover. If you are not accustomed to having to manually turn your iPad off when closing the cover, that is something you are going to have to get used to with this device. Otherwise, as a MedGadget review points out, you'll find out that your tablet has a dead battery when you pick it up at the beginning of your workday. This folio keyboard case retails for just under $10..00. Order directly from Hammerhead. If you wish there was a way to combine the classic look of a folio keyboard case with a snug-fitting shell, you're going to be really excited to learn about this option. The keyboard is fused directly to the fabric of the folio, a first-of-its-kind feature in the world of tablet keyboards. The outside of the folio is covered with coated fabric designed to repel liquids, as is the built-in keyboard. The keyboard is truly spill-resistant. Not only is the fabric designed to repel liquids, it's also not possible for liquid or crumbs to get beneath the keys, because there is no space below them. The iPad snaps into a durable plastic shell which props up for typing or viewing, and is held in place with magnets embedded inside the bottom of the folio, just above the keyboard. Because the iPad snaps into a shell, this product provides a bit more tablet protection than other folios. A CNet review describes it as a "durable case with a very good keyboard that feels like it can take a beating." Magnets just below the keyboard hold the folio snugly closed when not in use. It comes in a variety of colors, from sophisticated black to bold and bright shades of blue, yellow and orange. This item has the highest price point of all of the keyboards reviewed, but it does have a few appealing features that cannot be found with other similar products. Because the keyboard is fused into the case, it is not detachable. LatopMag.com indicates that the keyboard texture seems awkward at first, something that I also observed - but got used to very quickly. Due to its folio style, this gadget provides protection for the front and back of your iPad, so you won't need additional cases or covers for everyday use. This folio keyboard retails for just under $150 and can be ordered directly from Logitech with free shipping. There are so many ways to expand the functionality of an iOS tablet. Once you select the keyboard the best meets your needs, take a look at my independent reviews of iPad cases and other fun and useful iPad accessories. While I received review items to test, the opinions presented here are my own.